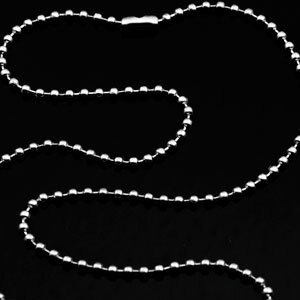 This ball bead chain perfectly accessorizes with our 1 1/4 inch double dog tag line. It comes with connector and can be cut if you prefer a shorter length. Polished finish.